Explore Dubai with our Deluxe 5-day ticket, which also includes our Night Tour, a Dhow Cruise, Sharjah Tour, Desert Sunset Adventure, Marina Cruise, and more. Welcome to the city that has it all. 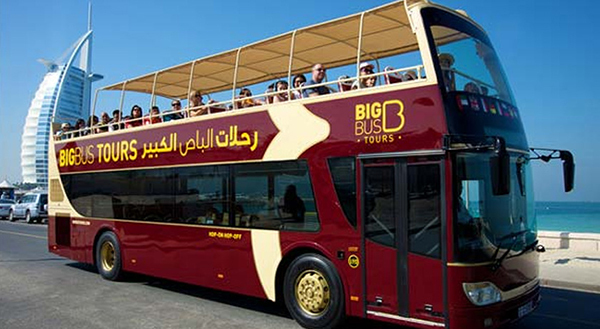 Hop on Big Bus tours to experience a true fusion of tradition Arabian charm and futuristic dynamism. Enjoy panoramic views of Dubai’s dramatic skyline, perfect sandy beaches and the world’s tallest building. Hop off to explore historical souks, forts and palaces, enjoy ultra-chic dining and ambient nightlife. With Big Bus Tours Dubai, you’ll taste it all.